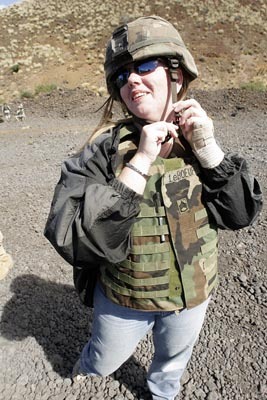 Kim looking fashionable in a flak vest and kevlar helmet at Pohakuloa Training Area. I loved when I got to go on this assignment. I really wanted a photo of me in one of the trucks with the gear, but I can't seem to find one….